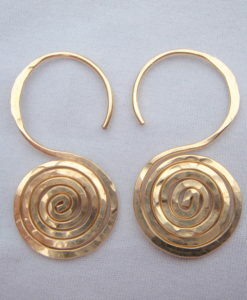 Hand Hammered, 14 Karat Gold Filled, Asymmetrical Artwork Earrings. 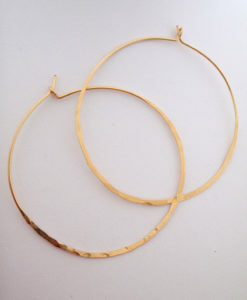 2 1/2”long. 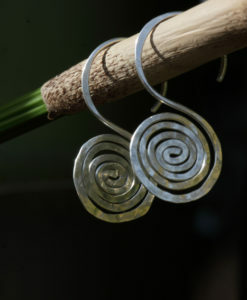 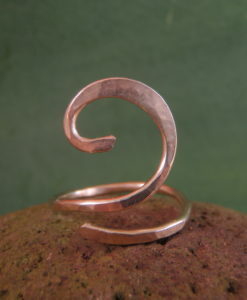 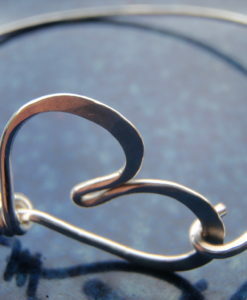 Also in Recycled Silver! 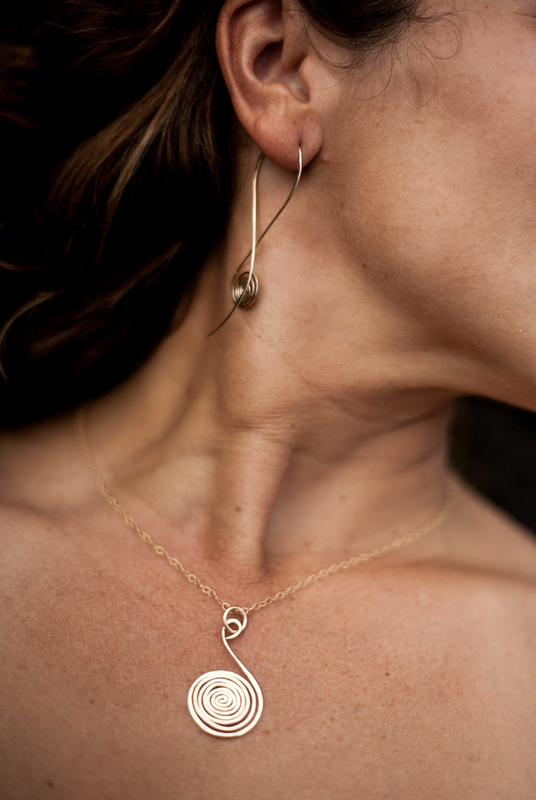 Step into your exciting evening adorned as a living work of art with these lightweight and flexible golden curves of energy and light. 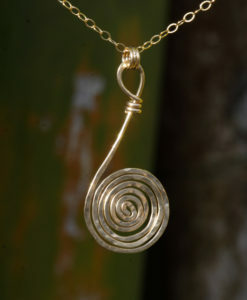 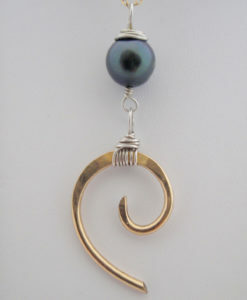 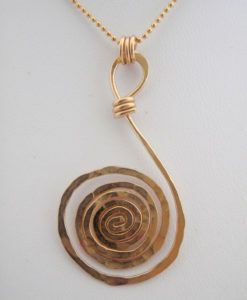 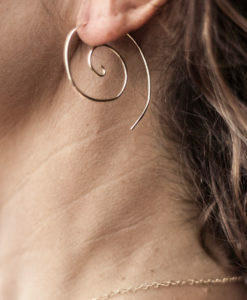 These Gold Spiral earrings wear beautifully with the spiral necklace and bracelet. 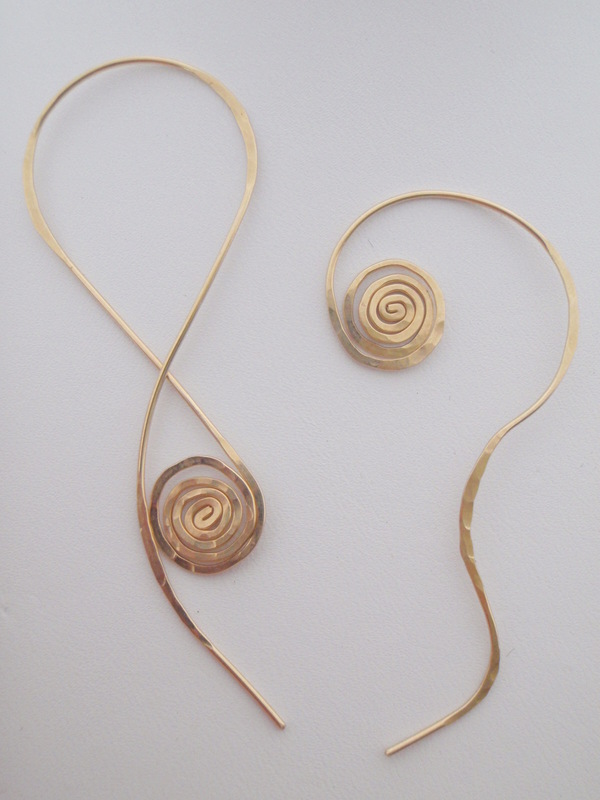 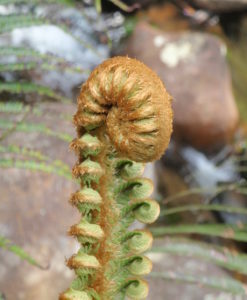 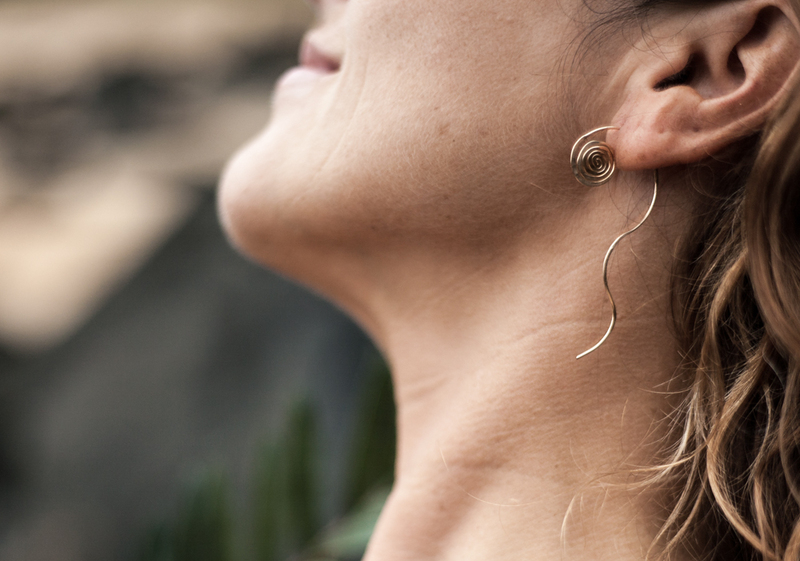 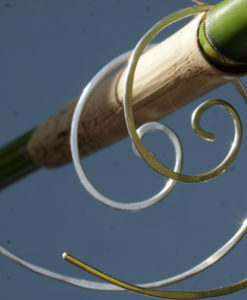 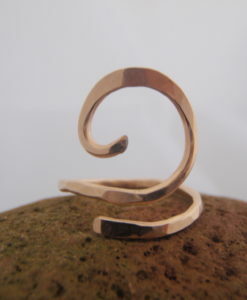 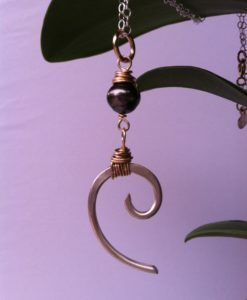 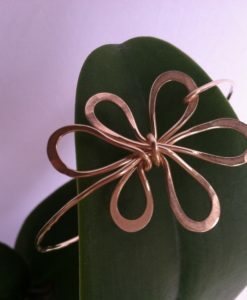 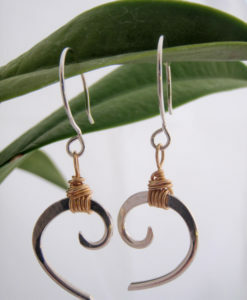 The Hand Crafted Enchanted Forest Gold Mismatch Spiral Earrings make an elegant Hawaiian gift for yourself or any occasion such as Valentine’s Day, Mother’s Day, Wedding, Anniversary or Birthday.